In January 2004 the first cohort of MA in Visual Arts Practices (MAVIS) students commenced their studies at the Institute of Art, Design & Technology. MAVIS was initially offered as a 60 credit programme, completed over two years (part-time) or one year (full-time). Taught primarily off campus, in venues such as the LAB (2008-2014) and Studio 6, Temple Bar Gallery + Studios (2004-2008), the programme followed an unconventional January to December calendar, with pathways in art-making, criticism and curating. In February 2012 the programme was revised, becoming a 120 credit, two-year full-time programme only. 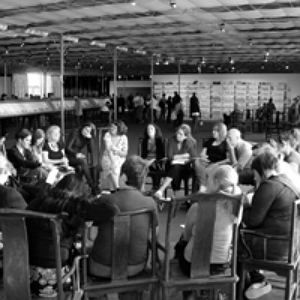 The MAVIS programme emphasized the importance of real-world learning experience and offered six modules delivered through a combination of taught lectures and workshops (Curatorial Seminar; Contemporary Practice; Critical Writing; Live Project, Practice-led Research and Major Project) together with tutorials, group critiques and independent study. Students participated in international study trips, engaged with high profile visiting lecturers and developed work for a biannual symposium and an annual research collaboration event, open to the public. During its ten year history, MAVIS made a very significant contribution to the professionalisation and internationalisation of contemporary art in Ireland, with highly committed staff and students that included accomplished artists, curators and critics, as evidenced by the list of prominent MAVIS alumni. 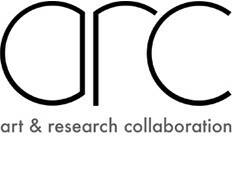 The ARC programme builds upon the achievements of MAVIS staff and graduates and an Alumni Network has been formed to provide ongoing opportunities for dialogue and exchange between ARC and MAVIS graduates. Maeve Connolly, Finola Jones, Gerard Mermoz, Amanda Ralph, Mick Wilson. Sarah Browne, Vaari Claffey, Valerie Connor, Gary Coyle, Tessa Giblin, Sinead Hogan, Jaki Irvine, Sean Lynch, Niamh O’Malley, Matt Packer, Sarah Pierce. Maxine Kopsa, Francis McKee, Leigh Markopoulos, Bartholomew Ryan, Terry Shave.